Spencer initially assesses the basic outline of the primitive form of Restoration consecration: the transactional process by which a member of the church would irrevocably deed his property to the Church, and would be in turn given a portion of property commensurate with his needs to be held under his stewardship for his family’s use — the rich would receive less than they had given, while the poor would receive more. An excess would remain for funding general Church projects. 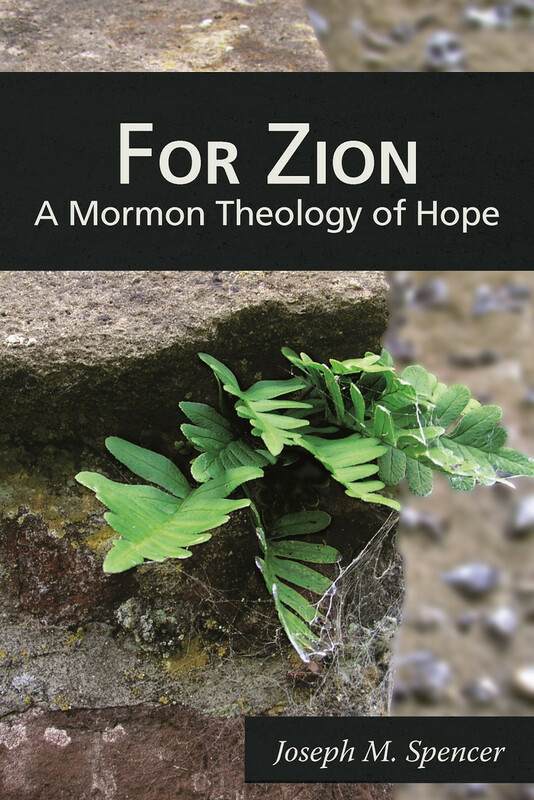 Regarded as merely an experimental economic scheme, one among the many that germinated in the early 19th century, the Mormon system of consecration can only be regarded as a naive venture doomed to collapse. Instead, Spencer points to the revelation’s pervasive concern with the social forms of communal living. Consecration, he argues, is as much about a particular social order as it is an economic system. If any one phrase can summarize the entire revelation, he suggests, it would be “Thou shalt live together in love” (compare D&C 42:45). He works through an extended comparison between the early law of consecration and the monastic rules governing early Christian communal life. Several intriguing points of contact stand out: the shared concern for regulating clothing and sumptuary expression, the emphasis on chastity and restrained sexual expression, and, rather more troublingly, the threat of excommunication or exclusion for those who prove unwilling to live by the governing laws. Spencer pursues the comparison to monastic rule at some length, not, he assures the reader, because he considers the Law of Consecration to be a kind of monastic constitution. His aim rather is to show that the Law of Consecration is not mere public policy, not a strictly economic affair. To read it as such is to drastically impoverish its meaning, which is above all social and communal, concerned with the quality of the common life. The economic organization matters, but only inasmuch as it produces “the joy of the Saints more than merely the satisfaction of needs” (105). To take consecration as either a failed economic experiment or a future utopia makes it much too easy to ignore its claims on us in the present. We would do well, he continues, “to understand the law of consecration as an outline of exactly how we as Saints are to live right now, wherever we are an in company with the Saints” (105). I think it’s quite clear that we should distinguish consecration from the various economic experiments of the 19th century. However I wonder if we shouldn’t be careful about casting it as a social order rather than what enables a certain class of social orders. That is we recognize there was no single economic system to live. Why should we assume a single social order? What would work today with our technology and numbers probably is different from a small primitive group in Zarahemla after Christ’s visit. It’s interesting that Joe doesn’t use the phrase “social order”, except tin passing when he talks about “revelations dealing with the social order of the saints.” I want to finish reading before I comment too much. But there is an element to the text that distinguishes order from God as source. That is order is always being transformed rather than arriving at a fixed order. So we have hope not tied to hope in a particular order so much as an “openness to possibilities in the plural, and not just a demand for a certain or particular possibility in the singular.” This is important I think. Now I try to be a bit skeptical here since this is already what I think. So I try to argue against it lest I fall too quickly into confirmation bias. You note things that you see as problematic such as particular kinds of focus on clothes or exclusion. It’s interesting that here we’re discussing “order established in the law.” It’s worth asking how this relates to the earlier chapters on hope.